« Why Do You Have Unused Warehouse Space? Just-in-time delivery is a process that’s grown in popularity lately among warehouses, manufacturing facilities, and delivery providers alike. 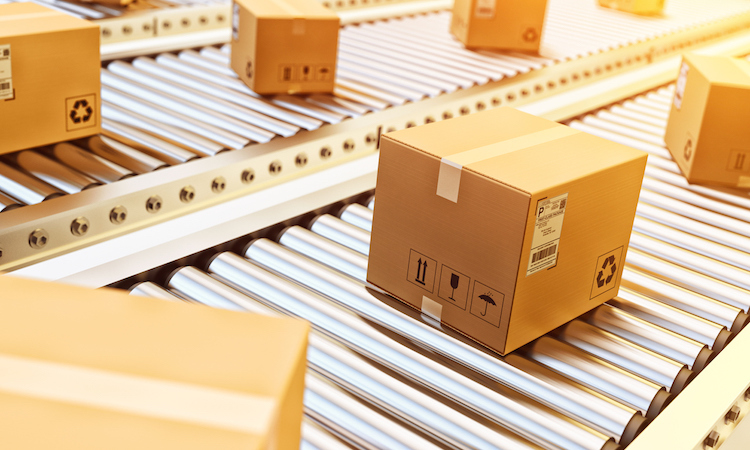 The advantages of just-in-time are numerous and can help a number of warehouses no matter what industries they serve, but adopting these processes can be time-consuming and, more often than not, confusing and unclear. The biggest hurdle to prompt deliveries, whether in a just-in-time process or otherwise, is getting bogged down by process. Too many warehouses echo the common refrain of nobody knowing who’s in charge of what, not understanding what the next step for an item being picked for delivery might be, or simply having too many cooks in the kitchen. This doesn’t have to be done across the board (as that can be unnecessary in many cases and time-consuming in nearly all of them) but identifying the processes that come up most often during the item handling process (picking, packaging, shipping) and boiling them down to their bare essentials can really help keep things on schedule. In any just-in-time process, be it manufacturing, materials handling, or delivery, scheduling is crucial for keeping everything on time and providing a clear timetable for where everything needs to be. Examine your delivery and/or manufacturing processes to break them down into a handful of steps, and then set time tables for when (and how) each step needs to be accomplished. For example, when an order comes in, you could break down when the item is picked from shelves and then set an ideal timetable for when it would have to be taken to shipping/receiving to get safely packaged, and how long that should take until it gets on the truck, and so on. Similarly, the implementation of just-in-time delivery and handling means you’ll have to try a little harder to keep your storage worked out and tidied up. Things like pallet racks, steel shelving, and industrial shelving will need to be organized and used to the best of their ability according to product demand and your current processes. You may need to bring in an extra shelf or two, or at least relocate some of the ones you currently have, but the time and labor savings in the long run will be more than worth it. Of course, even the most well-thought out processes will always need a little refinement now and again, and nobody will be able to help with this better than your staff on the floor. At regularly scheduled intervals, talk to the workers most involved with your just-in-time delivery process (item pickers, packaging, shipping/receiving, etc) and see if they have feedback. Is anything regularly slowing them down? Does anyone have an idea on how to speed something up? Keep an open mind for all employee feedback and you can better identify trouble spots in your process.